Today we will take a much closer look at another good broker, InstaForex. Last Sunday we covered The Last Bear’s top pick for new traders and dissected PaxForex and why we think it is a great, new and growing player in the retail forex broker space. PaxForex received our number spot due to their constant innovation as they try to close in on the competition and carve out an edge of their own. InstaForex is a well-established forex broker and may be the biggest in the retail world. According to their own information they now have in excess of 500,000 client accounts and offer a range of services which makes InstaForex our best pick for a mature retail forex broker. Let’s get right to it and give you a better understanding of why we like this broker. InstaForex is a very secure and highly liquid broker. They have been in the forex industry for quite some time and have stood the test of time. Their liquidity is exceptional and clients can rest assured that this broker will never face a liquidity shortfall. They sponsor sports teams and individual athletes, have branded airplanes and hot balloons and are very involved as a corporate brand. InstaForex offers segregated accounts. This feature is available for trading accounts above $100,000 and gives high net worth clients and additional layer of security. InstaForex offers plenty of currency pairs as well as CFD’s to clients. Their list is quite extensive, and they have also introduced forex option trading to their arsenal. Their range of assets is basically unmatched and puts them far ahead of their competitors. Leverage of up to 1:1,000. InstaForex is one of a few forex brokers which allow traders to leverage their account up to 1,000 times their capital. Trader’s need to keep in mind that leverage may enhance trading profits if used correctly and devastate forex portfolios if used careless.InstaForex offers the right leverage for every forex strategy. InstaForex offers decent bonuses to traders who wish to take advantage of them. Each deposit can be upped by 40% in order to increase trading potential. Please read the terms and conditions carefully before you accept forex bonuses from brokers in order to be aware what requirements you need to fulfill and in order to avoid confusion. InstaForex offers a great range of forex contests and has an annual price pool in excess of $500,000 in real cash which is given away to winners straight into their forex trading accounts. InstaForex hosts weekly, bi-monthly as well as monthly contests, runs an annual contest where a luxury car is given away, hosts the Miss Asia Beauty Pageant and also hosts a bonus raffle for deposits above $1,000. InstaForex also offers the MetaTrader 5 forex trading platform which is the next generation trading platform. They also offer PAMM accounts as well as a forex copy system for social currency trading. On top of that they offer a forex debit card and have an InstaForex club which offers additional benefits to forex traders. In case that was not enough InstaForex streams their own TV channel where they cover forex news. It does not get better than that. InstaForex gives traders re-quotes on very rare occasions which is another added benefit for this brokerage. It is also worth noting that InstaForex does not manipulate its quotes and there are no re-quotes during normal market moves. Slippage is another issue forex trader’s do not have to worry about when it comes to InstaForex. Most of the trades will be executed with no slippage at all. Spreads with InstaForex are very competitive and across all major forex pairs and a welcome destination for every forex strategy including scalpers. Customer service at InstaForex is very responsive and their team is online 24/5. Most requests and issues are taken care of immediately, but sometimes their support staff copy pastes responses from their FAQ section and it takes a rephrasing of the question to get a better response. In general they are rather good at handling support issues. InstaForex is not an ECN broker. That would not be that terrible, but when you ask them they claim they are a true ECN broker which The Last Bear does not appreciate. Do not lie to clients, especially if they no better. This is the biggest set-back for InstaForex. Trading Recommendations are average at best. Most traders do not care and have their own forex strategy. 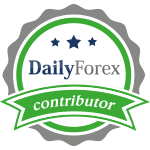 This broker employs a range of analysts and they do write their forex analysis and recommendations, but they are not beneficial to traders. In essence they tell you if this happens then expect this and if that happens expect that. Well, thanks for nothing as we are aware that price will either move higher or lower than where it is currently. Two claws down! InstaForex is a top tier mature broker with very deep liquidity and offers an unmatched range of services to forex traders across most categories. The most active and professional traders are not offered a competitive advantage through ECN accounts, but for over 95% of traders InstaForex can offer them what they are looking for. Given their size, customer service interaction may seem a bit cold and they do not have the hands on approach a full service brokerage would offer. InstaForex tries to strike a balance between services offered and costs incurred by traders and manages rather well if taken in as a whole package. InstaForex is our top choice when it comes to mature forex brokers. The Last Bear has roared! I have been trading with Instaforex since 2010 and never encountered any issue. I made money once and requested withdrawal. I was bit panicked because it was the first time I had requested for a withdrawal from them. They reverted the amount to my bank account within 24hrs so I am glad with them and say that it is a trustworthy broker. Hi Renesmae, thanks for your feedback. Glad you have a good experience with them. Are you only trading with them or do you have other forex brokers as well? I like their forex-copy system. You can copy the trades of successful traders and earn money even if you're newbie. And I'd like to say that their trading conditions are very suitable for me. Spreads are good, I choose 1:600 leverage, no requotes (if you set up max. deviation properly). I recommend. Hi Punisher, thanks for your feedback. InstaForex taught me all what i know about forex market. I started trading with a demo account and then, when I switched to a real one, I didn't see the difference. Behavior is the same. I request different bonuses to increase my deposits and all process is easy to make. I trade with instaforex since October 2010. Until now, i never faced any kind of problem. If i have any doubt or problem, customer service is always available to solve them fastly. I took part in several contests for demo accounts and it's a great opportunity to enhance your knowledge and win money for your trading account. @lorenzo: Thanks for your feedback. @laura: Thanks for your feedback. I'm very satisfied for all what I've got with InstaForex. I knew nothing about forex market, but with all educational material for free i've found in its website, i could learn by my own. Of course, all its staff was nice and polite with me and they solved all my concerns very fast. Thank you for your comment marissa. With InstaForex, I learnt how to interpret graphics and analysis provided by different analysts every day in its website. All of them are very accurate. Also, they update their website constantly and I see new services or campaigns where i can win money or other prizes. I appreciate you and I would like to read your next post. Thanks for sharing this useful information. when you start a business then at first you need every business related news. we find a real news that help for your business.